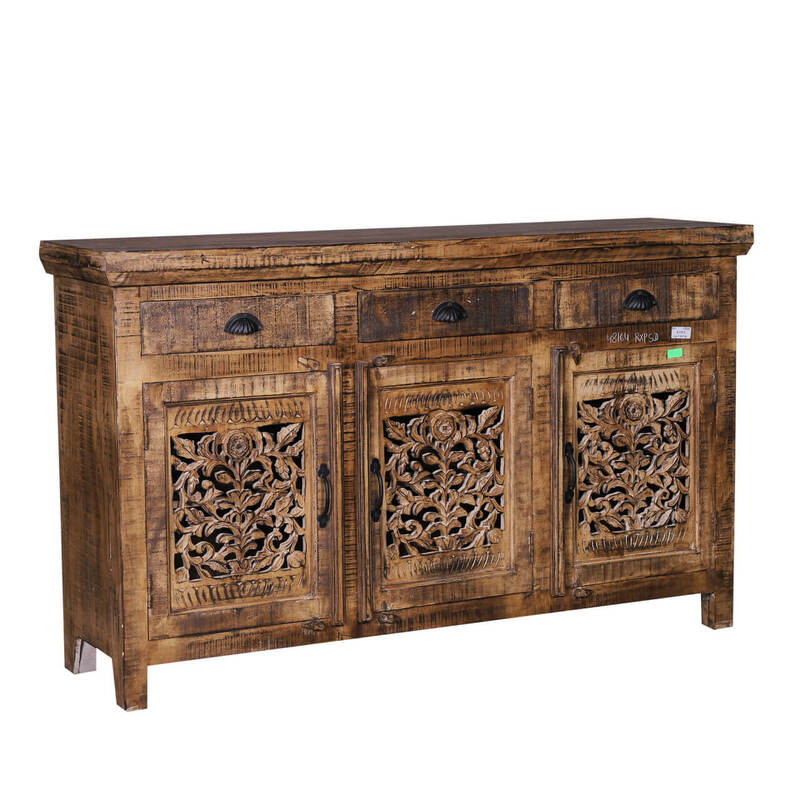 If you love the distinct combination of traditional looks and with rustic fanfare, then you’ll instantly fall in love with our Morganza Unique Reclaimed Wood Furniture Rustic Sideboard Cabinet! 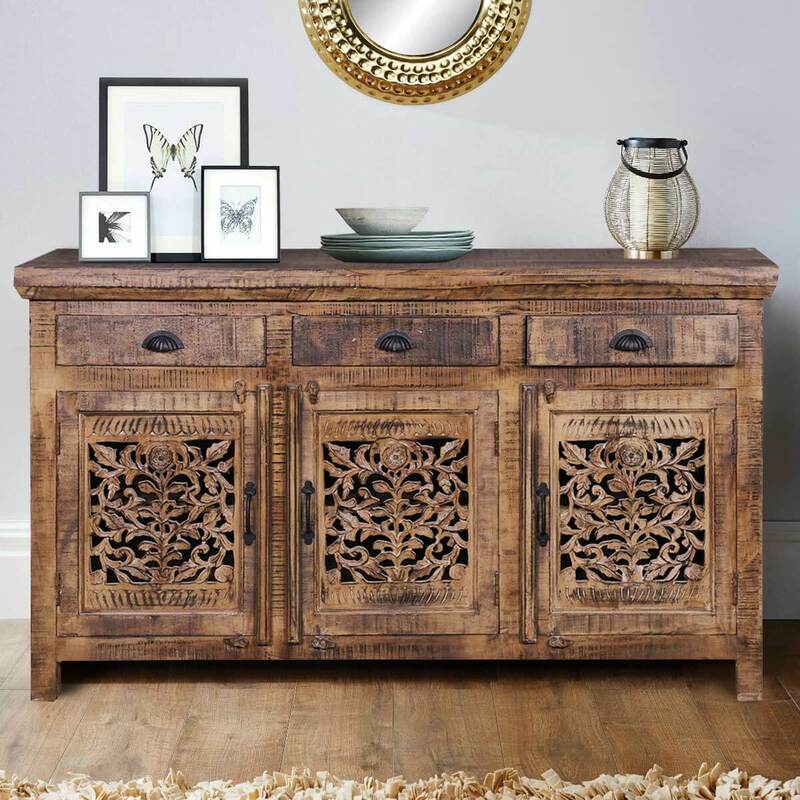 It features a very unique outlook – a blend of distressed finish spread over an elegant design sprinkled with traditional touches. 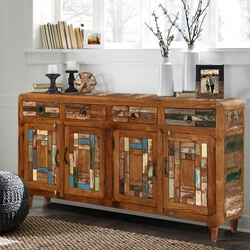 It is also made from eco-friendly solid reclaimed wood, so it’s sustainable, has a low carbon footprint, but also warrants a great heirloom quality. 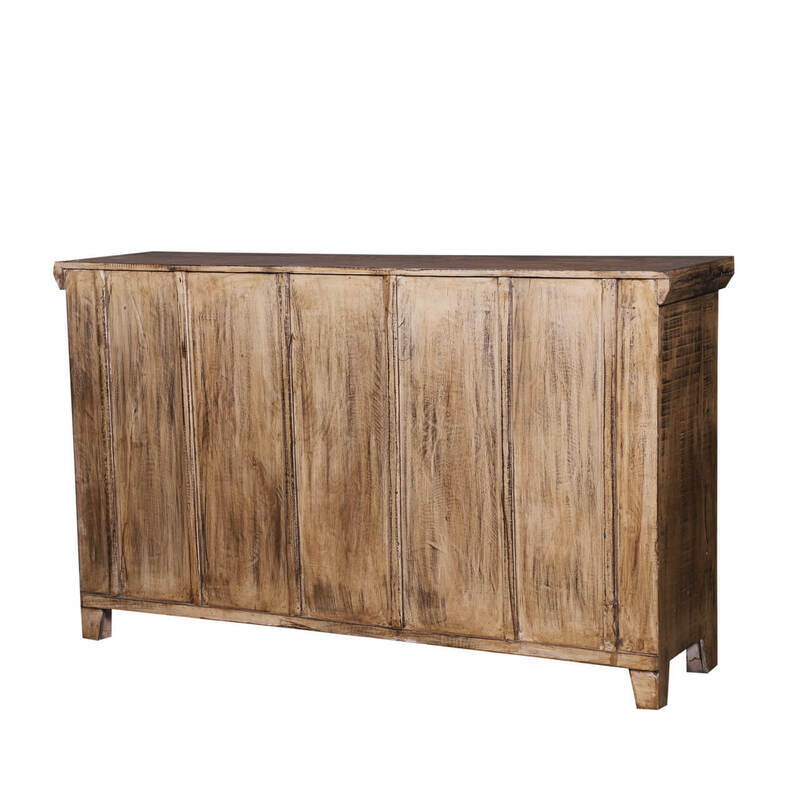 It starts off with an extended top frame with beveled edges that merge into the main façade. 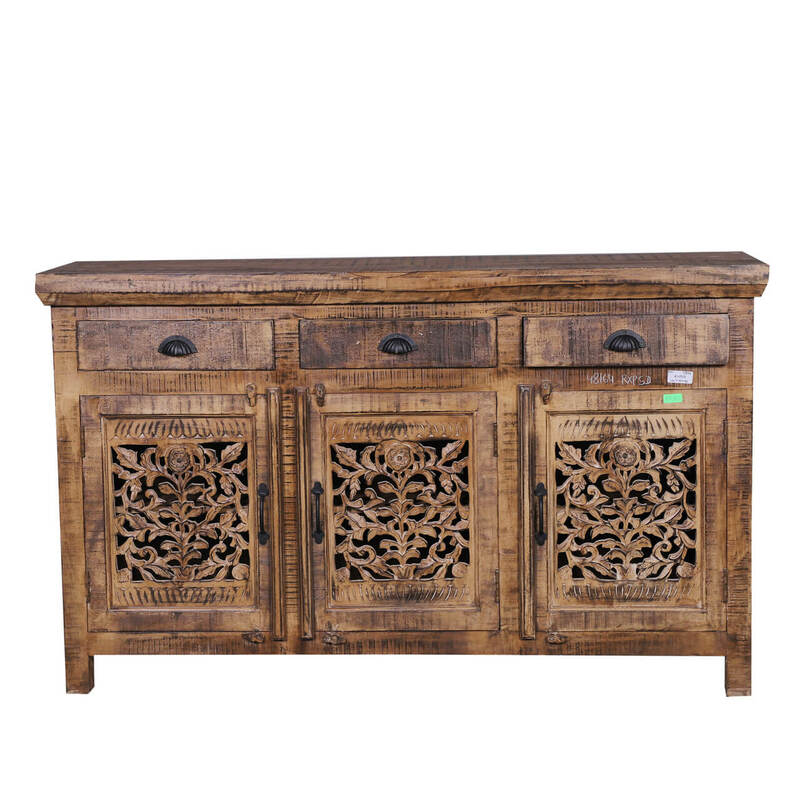 There are 3 pullout drawers at the top, and each one corresponds symmetrically with 3 single-leaf cabinet drawers right underneath them. 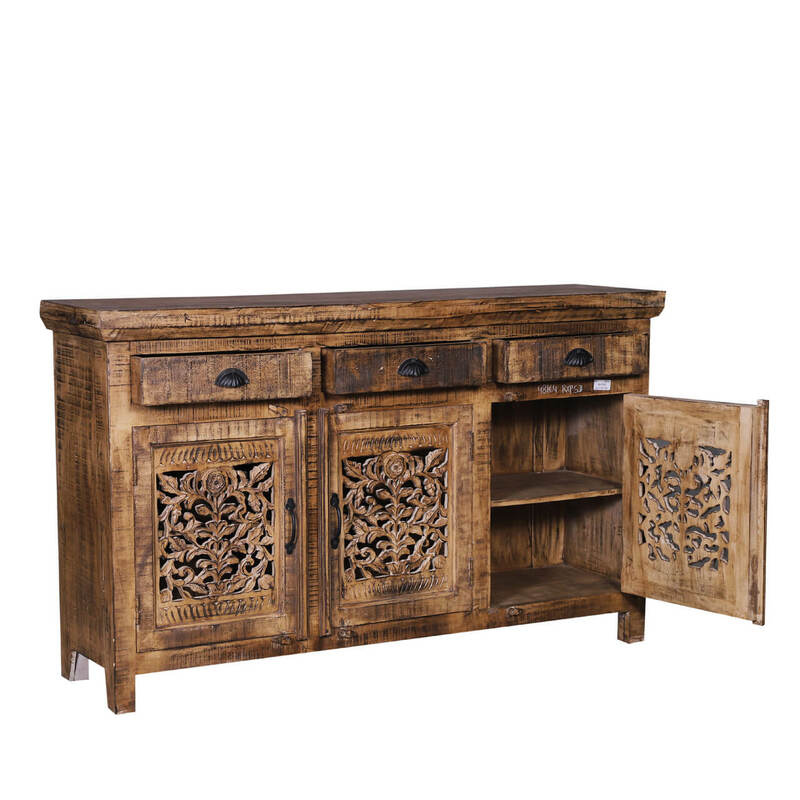 There are hand-carved designs on each cabinet, and they each open up to reveal 2 shelf compartments on the inside. 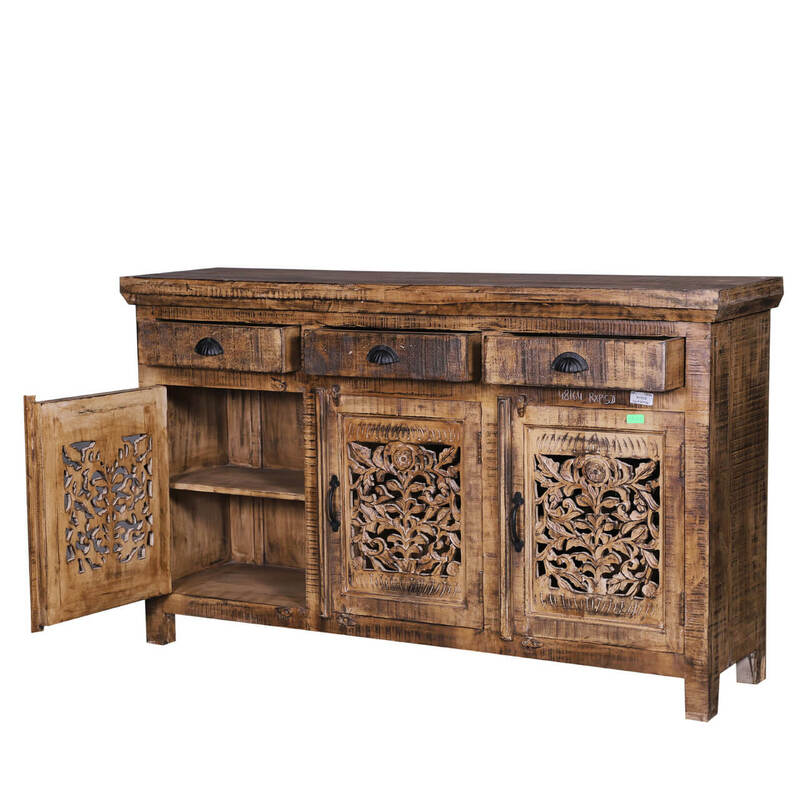 The base frame is simple and ends with rectangular shaped feet. 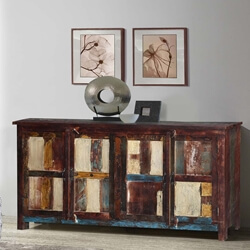 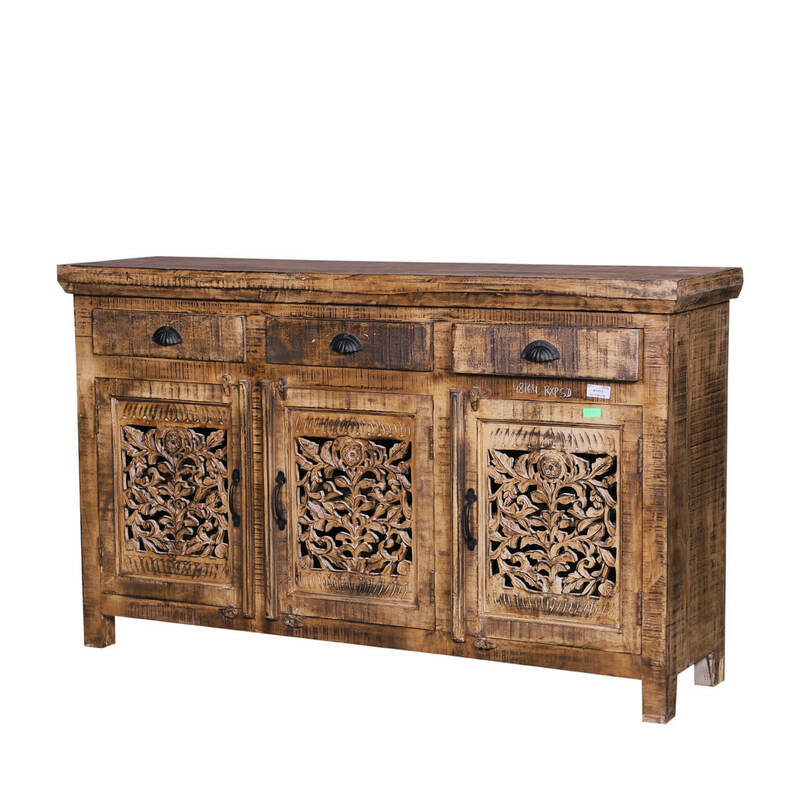 This reclaimed wood sideboard buffet comes with an amazing visual versatility. 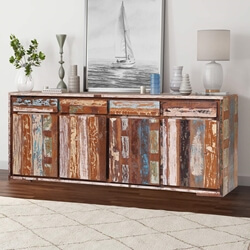 despite its very distinguished looks, you can pair it up with quite a variety of interior ambiances that include but aren’t limited to the retro, vintage, traditional, rustic, and eclectic styles.